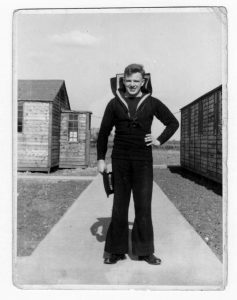 Most of the personal stories about active service in the Second World War that I know come from my grandfather, Henry Hiley. I want to write about him here as I firmly believe that without him, my family would never have moved to Germany, I would never have learned German and thus would never have become a translator. My family’s connection with Germany goes back to the day that my grandfather, then a student at Rochdale Grammar School, decided to study German – encouraged by the headmaster, who “said how German must be considered the language of the future, spoken as it was across Europe and in South America; the language of Science.” Henry went on to study German as part of a degree in “Modern Subjects” at Oxford, and was able to put his language skills to use during a long holiday in 1938, when he cycled from his home in Littleborough across Germany and down the Danube to Vienna and Budapest, sometimes sleeping in youth hostels, sometimes in barns on the hay. On one occasion he witnessed a Nazi rally, noting the “great jubilation” and “hysterical confidence” of Hitler’s supporters. In 1939 he took another trip to Germany, this time noting the newspaper headlines on von Ribbentrop’s agreement with Molotov and correctly deducing that war must be imminent. During the War (which in his memoirs he often refers to as “Hitler’s war”) Henry was in the navy. Following Germany’s surrender, he was sent to Hamburg as a member of the British occupying forces. Travelling there by train from Ostend, he witnessed the terrible destruction of many towns and cities he had visited himself before the War – “a succession of sadly mutilated cities…the devastation impossible to imagine.” His own wartime experiences had not inured him to the misery and want that many Germans were experiencing that first year after the War, and he did his best to help – assisting families who had become separated in the chaos that accompanied the end of the War to become reunited, passing on correspondence from German POWs to their loved ones, and giving away his rations of coffee, tea, chocolate, sugar and cigarettes and even his naval greatcoat. One gift, a Christmas pudding, caused great confusion among the recipients, who didn’t know “whether to slice it and eat it like cake, bake it, or whatever”! Perhaps unsurprisingly, he was soon accused of being too “deutschfreundlich” and was transferred to Husum on the Danish border, where he remained until demobbed in 1946. Some of the friendships he made with Germans during this time lasted his entire life. After the War Henry became a schoolteacher (teaching German among other subjects), and after one of his German friends became headmaster of a boys’ Gymnasium, the two initiated an exchange programme of kinds long before such things became popular. Several German boys visited the family home, and my father and his brother were sent off to join the German schoolboys on a trip to the Allgäu, no doubt greatly improving their German and instilling a love of the wonderful German walking songs the group would sing as they hiked around the beautiful countryside. When my father was older, he visited his German exchange friends and travelled around Germany with them. Trips to Germany became a regular occurrence, and I well remember visiting the same families as a little girl and playing with the third generation of family friends. What a difference there will have been between the affluence of the 1980s and the misery of 1945/46 – something only my grandfather and his German contemporaries would have been able to appreciate fully. Given these family connections, it did not seem too much of a shock when my parents decided to move to Germany in 1986; my father already spoke fluent German and knew a lot about the country and, for example, its education system (the availability of high-quality state education was a major factor in my parents’ decision). And so my grandfather ended up visiting Germany even more frequently – usually once or twice a year until the last years of his life, when it became too difficult. His German remained virtually flawless (as a child, I remember it being better than my parents’, even though they were the ones living in Germany! ), and he greatly enjoyed conversing with new German friends and acquaintances – as well as his two “German” granddaughters. My grandfather died in 2007. He remains greatly missed and is lovingly remembered by family and friends in Britain and Germany. I like to think that one of his greatest legacies was his awareness of the universal humanity of all people, who share the same needs and desires and in times of conflict may find themselves on opposite sides through no fault of their own. He always responded to others’ needs with compassion, regardless of their nationality. Last but not least, he valued the knowledge of foreign languages and cultures. Without his love of German and Germany, which persisted despite those years of fighting, I don’t think my family would have ended up there: I would never have grown up in Germany, learned the language, met my German husband, and become a German translator. I can’t quite imagine what my life would be like without my “deutschfreundlicher” grandfather. And so each year the Exton Tree of Love and Remembrance has one light dedicated to his memory. 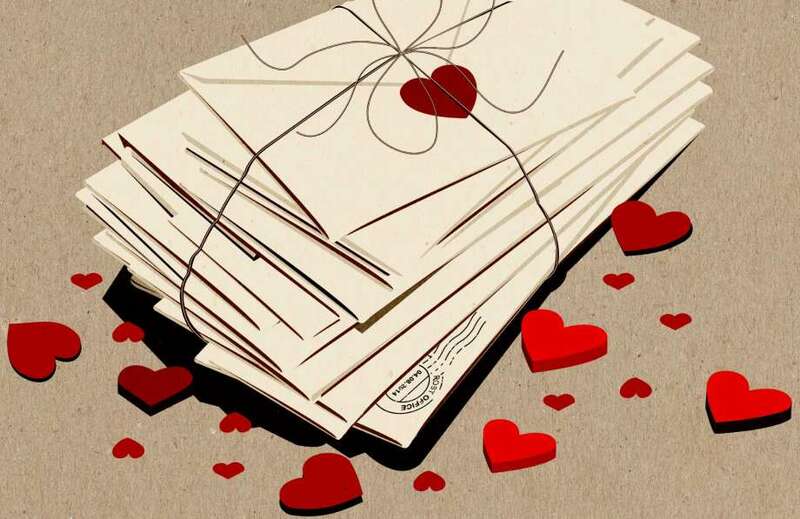 Thank you – or danke! – , Grandpa! 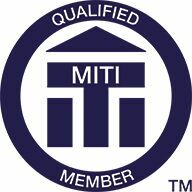 A new qualification – I’m now an MITI! previous post: A new qualification – I’m now an MITI!